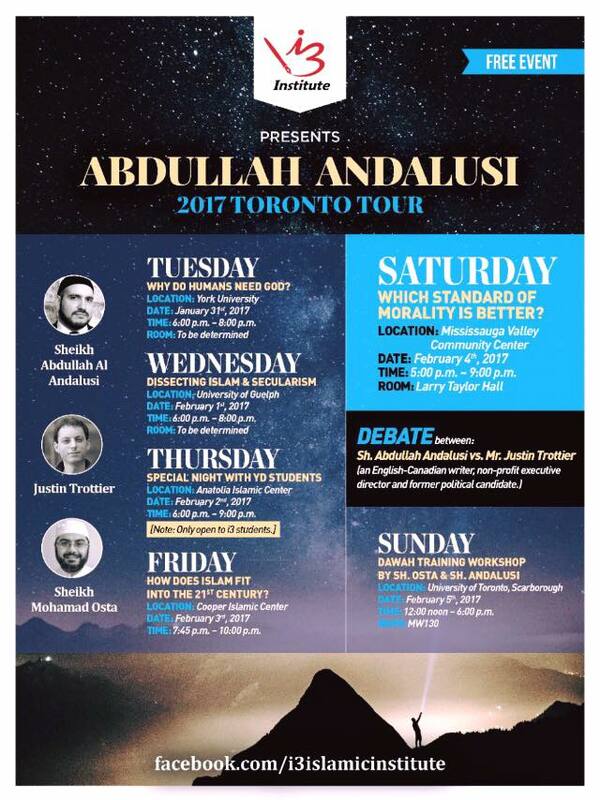 From Monday 30th January 2017, I will be in Toronto, Canada for a full week of lectures and a debate, kindly organised by the Interactive Ilm Institute (i3). 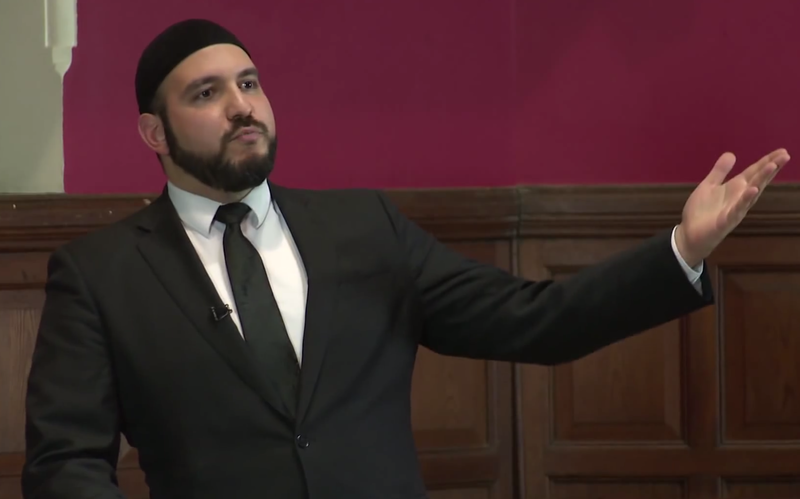 The tour will involve universities, community centres and a mosque, and will culminate in an exciting debate. We invite you, your friends and families to join us on this one of a kind program. 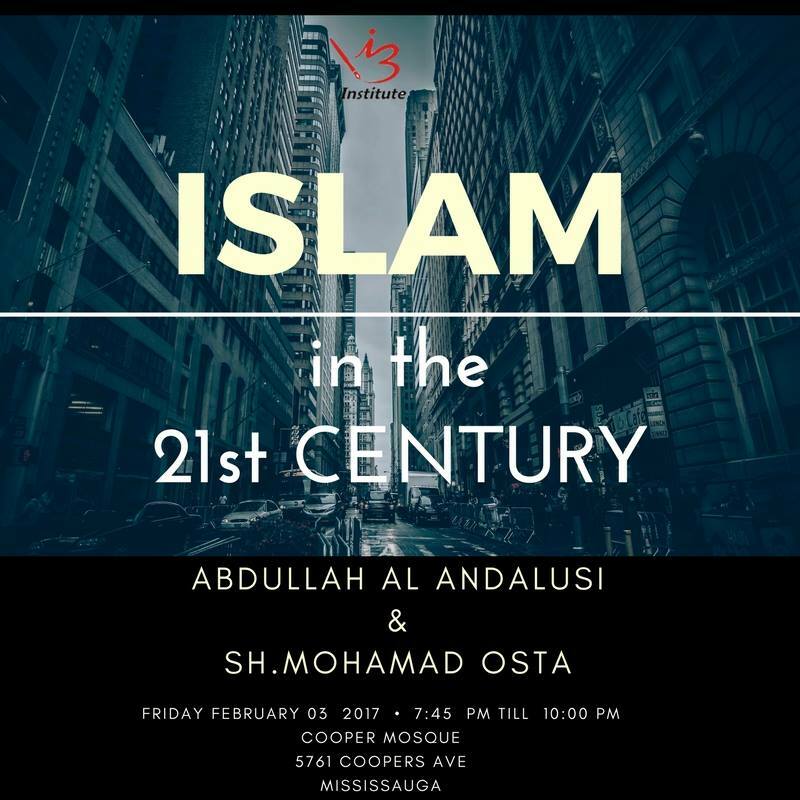 Please watch the Trailer video [full schedule below video]. 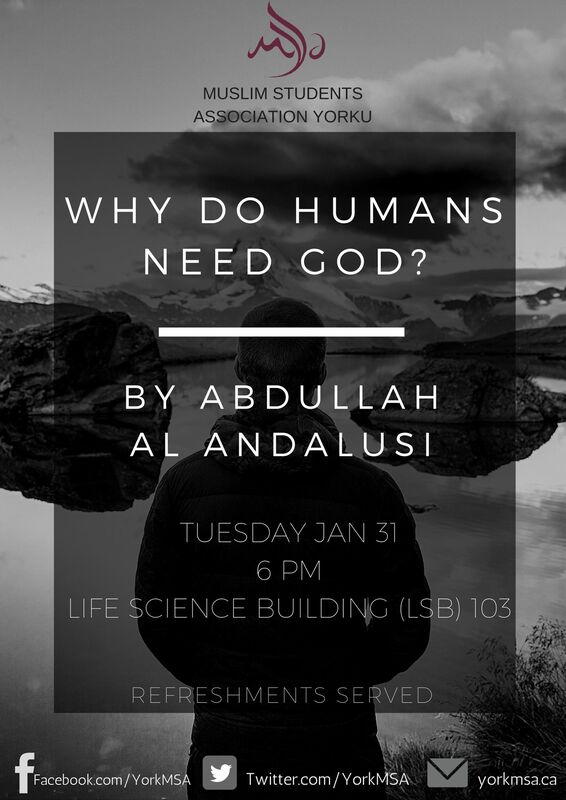 Lecture titled Why do humans need God? Time 6 p.m. to 8 p.m.
Time 6 p.m. to 9 p.m.
Time 7:45 p.m. to 10 p.m.